Make your own keychain! You select any 3 badge cards to include from our huge selection of badge cards. Make your own keychain! You select any 2 badge cards to include from our huge selection of badge cards. Make your own keychain! You select any 4 badge cards to include from our huge selection of badge cards. Make your own keychain! You select any 5 badge cards to include from our huge selection of badge cards. Make your own keychain! You select any 6 badge cards to include from our huge selection of badge cards. Make your own keychain! You select any 7 badge cards to include from our huge selection of badge cards. Make your own keychain! You select any 8 badge cards to include from our huge selection of badge cards. Make your own keychain! You select any 9 badge cards to include from our huge selection of badge cards. Make your own keychain! You select any 10 badge cards to include from our huge selection of badge cards. Make your own keychain! 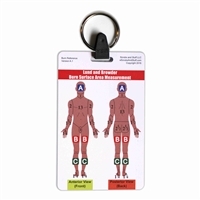 You select any 11 badge cards to include from our huge selection of badge cards. Make your own keychain! You select any 12 badge cards to include from our huge selection of badge cards.